Quick Cargo Service has been a dependable partner for worldwide airfreight shipments since 1974. Today, a high departure frequency with fixed capacities and the use of strictly defined criteria with select air freight carriers ensure lasting quality and high-capacity connections with the entire world. 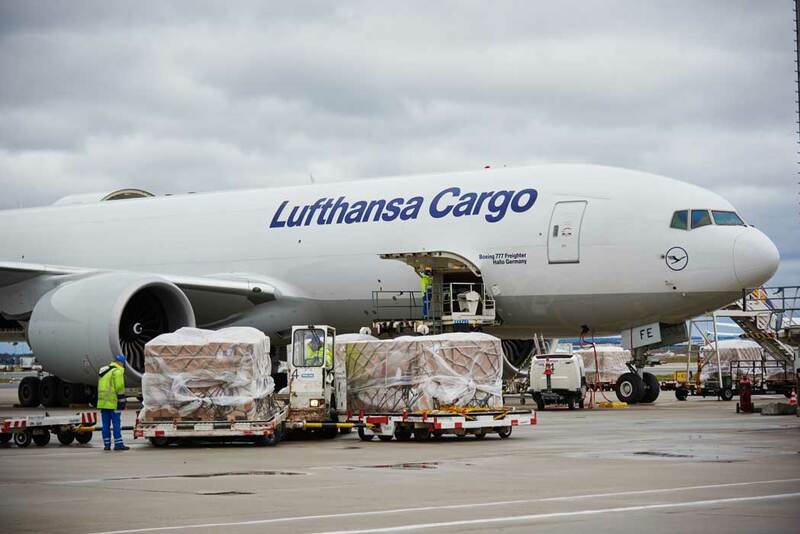 There are times when Quick Cargo Service needs to keep an eye on particularly important freight, and, where possible, accompany the pallet personally until it has been loaded into the aircraft. QCS is distinguished by offering the highest standards in delivery quality: something reflecting in countless awards and prizes won. When an automobile factory in Mexico was threatened with an assembly line standstill just before Christmas, because important spare parts were missing, Quick Cargo organised the appropriate delivery in a matter of hours. 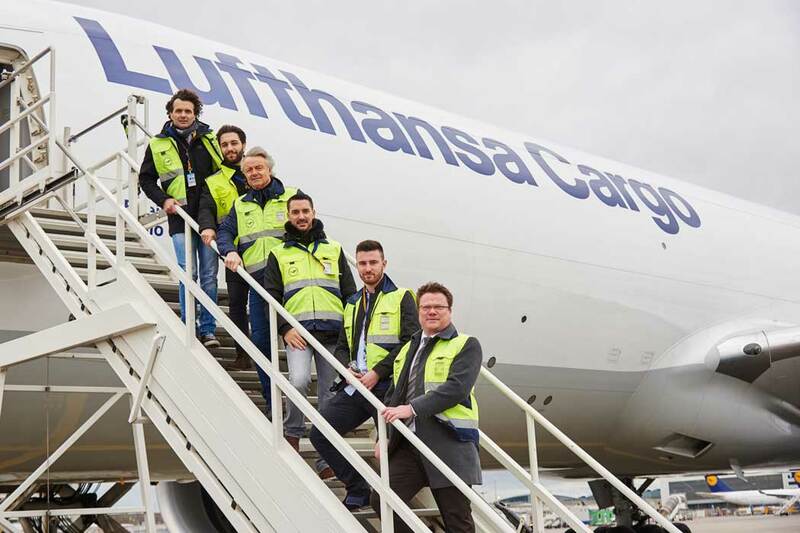 Thanks to Lufthansa’s express service td Flash, it was still possible to load the cargo onto an MD 11 just 90 minutes before takeoff. 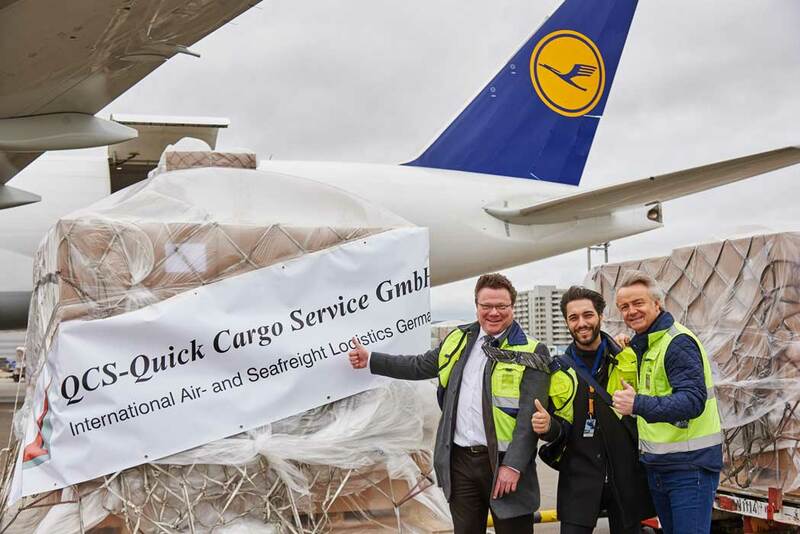 Stephan Haltmayer, managing director of Quick Cargo Service, was able to witness the quality of the express service for himself on the apron. Then just two hours after landing, the urgently needed spare parts were ready and waiting for the local forwarder to collect. Quick Cargo also chartered an entire 777F to fly 100 tonnes of artificial food to Shanghai. For this flight Stephan Haltmayer was not only able to witness the loading and take-off, but also to take a look in the cockpit of the Boeing called “Hallo Germany” before the start of the flight. First officer Joseph Rodney explained the functions of the many instruments, levers and buttons to his guest. the sensitive shipment had to be kept at temperatures between 10 and 20 degrees Celsius throughout the entire chain of delivery.